Elle Est: Writing – Page 2 – My thoughts. My Experiences. My Truths. I don’t think Charles Shultz, the creator of the Peanuts cartoons, really knew how true the words “good grief” are when he wrote them as a coined phrase for Charlie Brown. And I guess, when you think about it, the phrase in itself seems oxymoronic. How could anything be good about grief? Now unless you’re a masochist, most people are uncomfortable with pain. We tend to be especially uncomfortable with the mental/emotional pain of other people. The awkwardness of not knowing what to do when someone breaks down and cries in your presence…do you cry too, hug them? What? Typically, there’s an issue that you probably can’t fix. No one likes to be put in that position. A lot of times, the person not grieving may say or do some real problematic things that they’re not even aware are problematic. It’s problematic to tell someone hurting to “be strong.” It’s problematic to not allow the griever the opportunity to grieve, even when we think the cause of grief is not warranted. I am, in fact, grieving something that was not healthy for me. For days, I’ve been battling the guilt of even doing so. Why am I so sad…I’m free. This is what I both want and need. It doesn’t matter though…it still hurts. 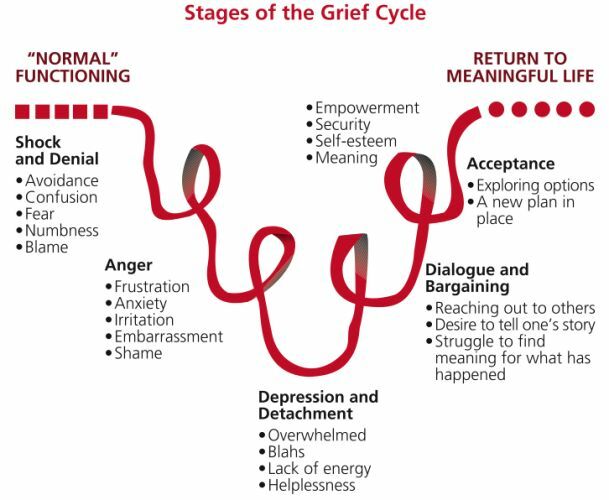 The grieving process is a necessary one, and so many people miss out on being whole because they don’t do it. Faking it until you make it will only work for as long as the pain stays suppressed. The thing is, every time something that comes up to remind you of that situation or that person, you’re faced with the opportunity to feel the pain all over again. Deal with it. Grieve. Writing is hard. Writing about my experiences is hard. I hate journaling. Being forced to face how you really think and feel is exhausting and quite a daunting task for me. You can’t lie. You can’t put on a facade like you normally would…it’s raw, real, honest emotions. I suppose if I did it more, I’d be used to it by now. But I don’t. I’m forced to write, (or in my case, type) so that I can think, feel, process, and heal. Over the past several years, my life has been a roller coaster of both triumphs and defeats. While I’ve been encouraged to journal, I’ve not been consistent in doing so. Interestingly enough, I do better expressing myself when I type it out. I know many will disagree…they feel the magic as they put pen to paper. Not me. My hope is that this blog will do double duty; helping me journal and helping the readers in whatever shared experiences we may have. No, this will not be a tell all about my personal life (though if it were, I’m sure it’d be way more interesting). I will, however, share my truths [hopefully] in a way that will allow others to learn and grow as they experience them through my writings.